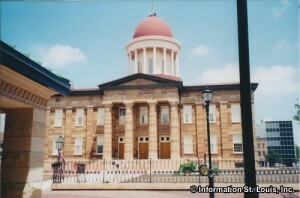 Springfield, Illinois has served as its state capital since 1837 when Abraham Lincoln and eight other legislators pushed to have it moved to Springfield from Vandalia. Its most famous resident was Abraham Lincoln who lived there from 1837 to 1861, leaving when he became President of the United States. Visitors are able to tour the Lincoln home as well as the preserved neighborhood around the home. The Old State Capital, where Lincoln was a state legislator, is located in historic "downtown Springfield" and can be toured, as well. Other sights in Springfield are Lincoln's tomb and his Presidential Library and Museum, Route 66 attractions, museums and festivals, and of course, shopping, dining and entertainment. Springfield also hosts the Illinois State Fair in August of each year.